How can our sensory focus and attention improve our wellbeing everyday? In offices? In homes? In classrooms? Educator, writer and researcher Emma Kidd will explore practical ways in which we can improve our wellbeing by becoming more open and alive to the world around us. 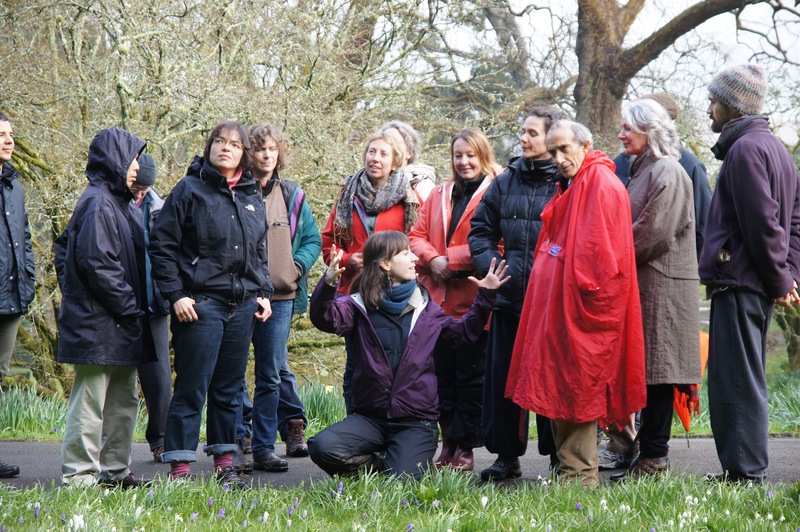 This will be the first in a series workshops made up of practical indoor and outdoor exercises from her new book: “First Steps to Sensing Life: Practicing a Dynamic Way of Seeing in Everyday Living”. This entry was posted in Uncategorized and tagged 5 ways to wellbeing, dartington, devon, Emma Kidd, Henri Bortoft, NEF, phenomenology, Schumacher College, sensing life, take notice, wellbeing on March 3, 2014 by roseyenglishangel.